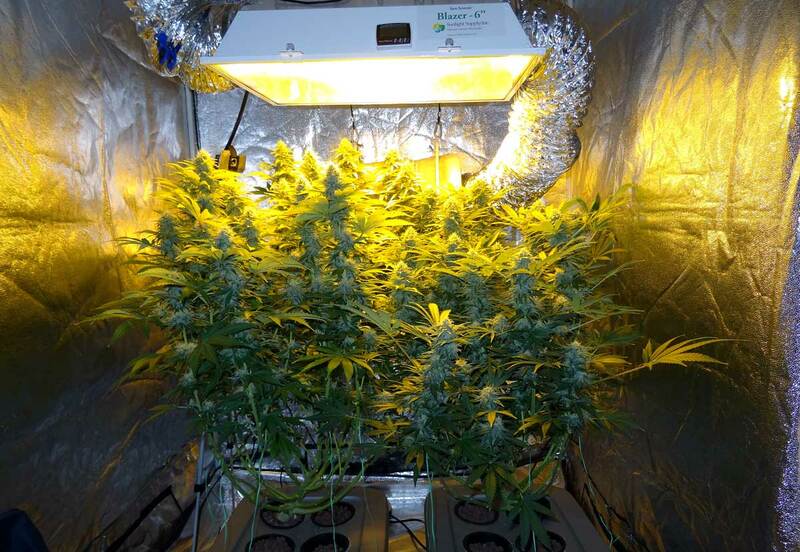 How much taller will a cannabis plant grow after being changed to the flowering stage? How much taller will your cannabis plant grow after being put into the flowering stage? Cannabis will generally double its height after the lights are changed over to 12-12 (12 hours light, 12 hours darkness) which signals the beginning of the flowering stage. Some cannabis strains, especially sativa-dominant strains, can triple in height or more during the flowering stage. Some indica cannabis strains may not get much taller at all during the flowering stage, and may instead just get bushier. In my experience with several different hybrid strains, a good rule of thumb is to generally expect that cannabis plants will double their height after entering flowering. 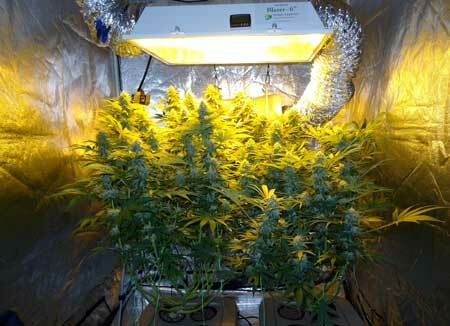 If the plant is growing long and lanky, with thin leaves like a sativa, expect the plant to grow more. If the plant grows low and bushy for the entire vegetative stage, chances are it will continue to grow in the same pattern during flowering and may not quite double its height. If a marijuana plant has grown stretchy and tall its whole left, expect it to stretch a lot after it starts flowering!